Do you LOVE CHRISTMAS and decorating for the Holidays? I have been wanting to have a linky party and I decided that it would be fun to have one featuring hand made CHRISTMAS STOCKINGS! Just about everyone who celebrates Christmas has a few. Quilters, like me, have been know to make a few or a dozen. Would you like to join me in showing off some of your favorite CHRISTMAS STOCKINGS? The link will open on December 17 and be open through the 24th (for those of you who hang them up then). 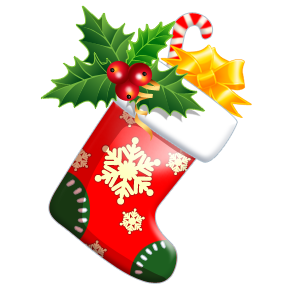 If you have a CHRISTMAS STOCKING TUTORIAL that I could feature that week please let me know this week and we will work out the details. Here's a few hints at what I will be sharing with you. I have a few finished stockings and I'm planning at least one tutorial. There will be a few prizes up for grabs too! I really hope you will join in the FUN!!! I want to join/follow via email..do you have that option?